NEW YORK – Freddie Roach believes Miguel Cotto is ready to retire from boxing. 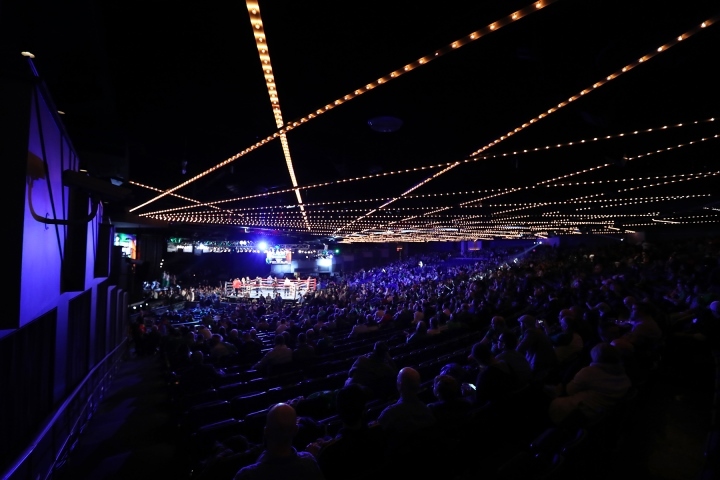 Cotto’s trainer thinks the four-division champion from Puerto Rico will keep his word and walk away from the sport following his fight against Sadam Ali on December 2 at Madison Square Garden. Roach is just as certain Cotto will be offered a huge fight next year, either against Canelo Alvarez or Gennady Golovkin. That’ll tempt Cotto, according to Roach, despite his firm commitment to spending more time with his wife and four children as they try rebuild from the devastation caused by Hurricane Maria. “I believe him, but it’s difficult to retire,” Roach told BoxingScene.com before a Cotto-Ali press conference Tuesday at The Garden. “Once he wins this fight and looks good in the fight, and then when the offers start coming in, it’s gonna be hard to say no sometimes. But he wants to spend more time with his family and I take my hat off to him because he wants to be a family man. Roach expects Mexico’s Alvarez (49-1-1, 34 KOs) and Kazakhstan’s Golovkin (37-0-1, 33 KOs) to fight again May 5. Cotto, who will turn 37 on October 29, will have been retired for five months by then, but Roach knows that won’t stop promoters from calling Cotto to return to the ring. Cotto and Alvarez both are represented by Oscar De La Hoya’s Golden Boy Promotions, thus their rematch wouldn’t be difficult to put together. Alvarez out-boxed Cotto to win the WBC middleweight title nearly two years ago in Las Vegas.